Modern theorists and their ideas on war and peace are here presented, interpreted, and evaluated with scholarship and clarity of expression. In examining the main currents in modern social theory, the author has gone directly to the works of the leading philosophic figures. This book is a carefully documented analysis based on primary sources. Its republication in an expanded version after more than a half century since its initial appearance is a welcome addition to the literature on conflict and conflict resolution. 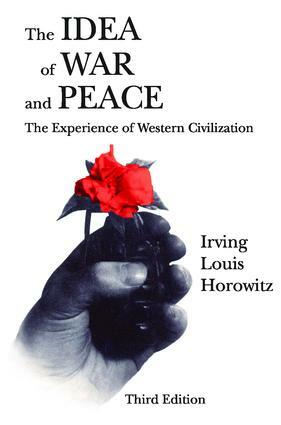 In this 2007 greatly expanded third edition of The Idea of War and Peace, Irving Louis Horowitz provides a sense of substance to the character of Western Civilization. The book permits the reader to better understand what the "clash of civilizations" is about. It provides a broad outline of both European and American twentieth century social philosophies as they relate to the issue of war and peace. It also offers a new concluding section that explores in depth this same theme in the first decade of the twenty-first century. Such major figures as Bertrand Russell, John Dewey, Jacques Maritain, Albert Einstein, and Vladimir Lenin, reviewed in earlier editions, are now joined by examinations of the work of Raymond Aron, Harold D. Lasswell, and other contemporaries. The Idea of War and Peace is not just one more manual of how to conduct or avoid conflict, and even less, a guideline to policy-making. Instead, the work offers a profound sense of the theories and values that underline manuals and guides.